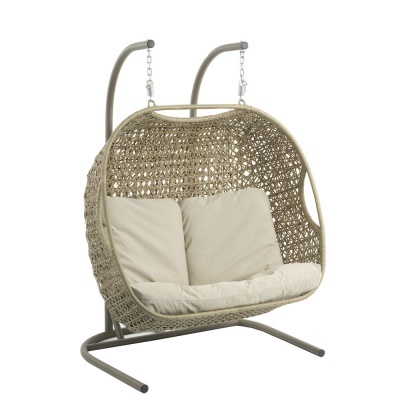 Bramblecrest Oakridge Double Cocoon Garden Hanging Swing Chair including fitted cushions, brings a new added delight to time spent together either in the garden, on the patio or out on the balcony, both relaxing and swinging in the breeze. Take a good book, magazine or just sit and rest a while, whilst the outdoors enjoys your company. Suitable for two persons or single person lounging with feet up! 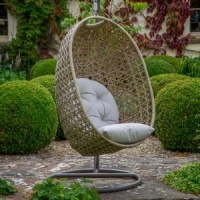 Bramblecrest's popular high quality Oakridge dual cocoon hanging chair is manufactured with all-weather 'oatmeal' coloured 5mm half rounded rattan wicker weave, resistant to the elements, on a rust-free powder coated aluminium frame. The chair promises a high quality garden furniture outdoor safe investment, with an elegant design, complimented by wipe-able fawn cushions with removable covers. 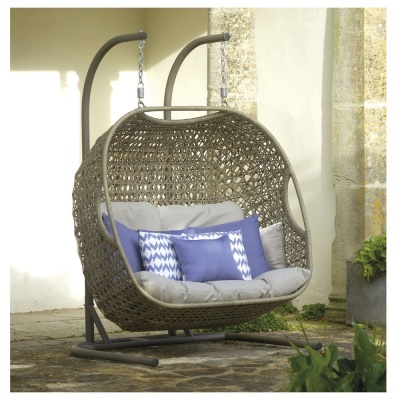 The Bramblecrest Oakridge range of furniture compliments each other, and this double Cocoon garden swing chair is a delightful way to enjoy the Summer months. * Warranty is valid if product purchase registered directly with Bramblecrest within 28 days of purchase. 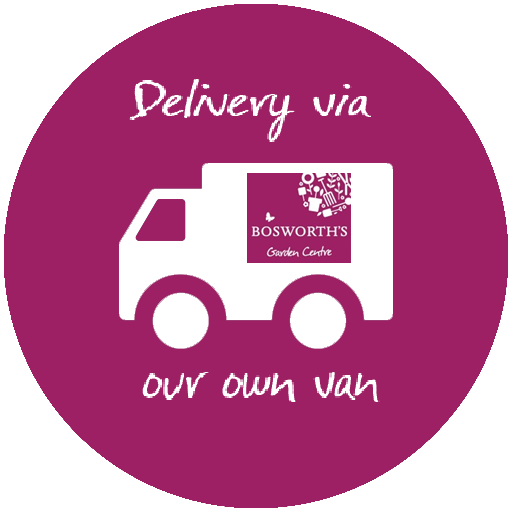 Bramblecrest Furniture is delivered by our own Bosworths transport and includes two man delivery where necessary. Qualified staff deliver at a mutually arranged time and date that suits you. Our delivery service to you includes delivery & manual handling of the furniture to the installed location of choice, and includes construction and removal of packaging.